So I decided to put pen to paper and list some unique breakfast experiences out there – some are simple but perfect, while others border on eccentric creativity, but rest assured they are all amazing. This is not a best breakfast guide… I’m sure there are places I have missed… but here are some snippets of cool things to try. Enjoy. 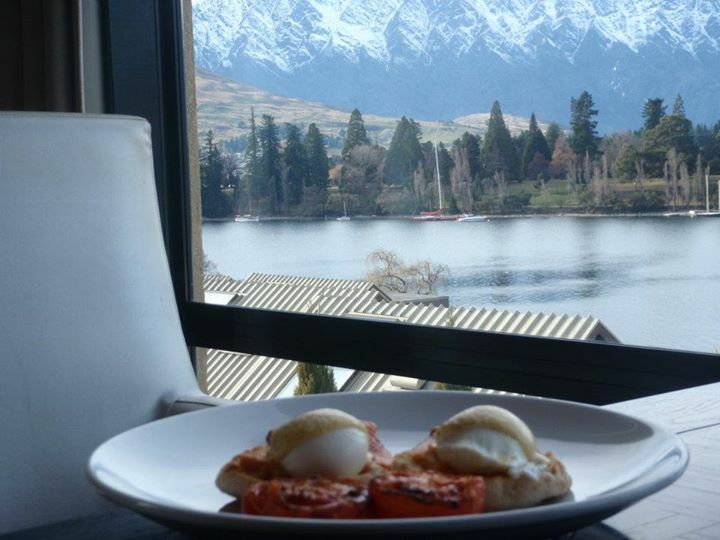 A view of the crystal clear lakes and mountains of Queenstown in New Zealand with freshly poached eggs on a silky tasting smoked salmon placed on top a fresh crusty bread smothered with rich creamy hollandaise sauce… can you find a fault? I first stayed at the St Mortiz in 2005 and have always loved their hospitality, warm breakfasts and the amazing views! So you’re in a the theatre district in London, staying at a cool hotel and want to stay fit. The Waldorf Hilton does an amazing omelette made to order. You can choose your fillings- I always go for shrimp, tomato, onions and of course just egg whites (keeping it healthy). Okay… technically not breakfast but brunch. This place turns into a day club…. the crowd start dancing on tables to cool tunes, Bloody Marys and Champagne flows, creative Provencal French dishes are whisked out of the kitchen – it’s the hideout for beautiful people. Being in the plane is my favourite thing to do… so what better experience than being woken up by a beautiful flight attendant and being served a gourmet breakfast in your cute Qantas pyjamas… it’s Breakfast in Bed in the Sky! You can check-out a full review of my flight just here. 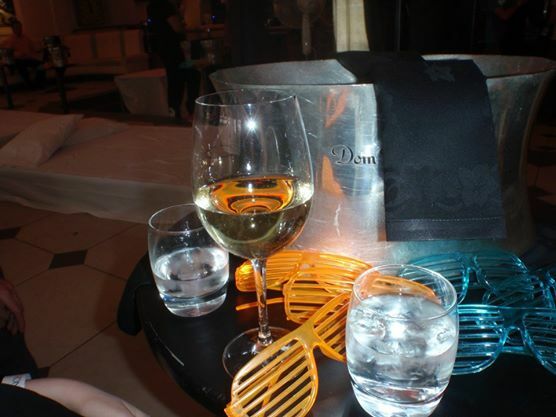 This is a brunch event held in the UK which I was fortunate to attend. The theme was Pyjamas! It wasn’t great, but there was rustic dishes, people in PJs (yes in the middle of Mayfair), beds, dance music, Hampton style cocktails and life music/performers. 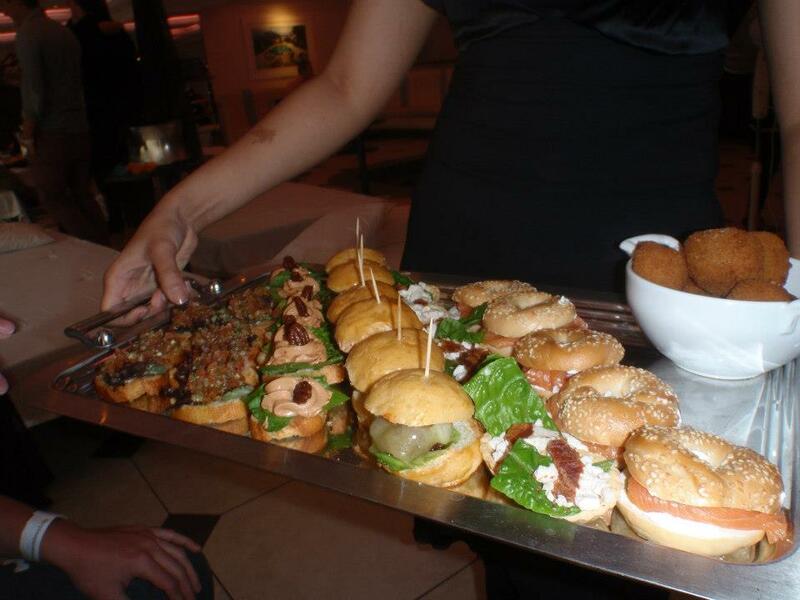 It’s random, but the breakfast canapes were lovely. If you’re in the sunshine state visit this little gem. It’s near the Barracks and offers a creative French style breakfast in a bistro setting. It’s a little hip and gets full marks for creativity. It’s worth a visit just for their carrot jam. I Love Lounges! 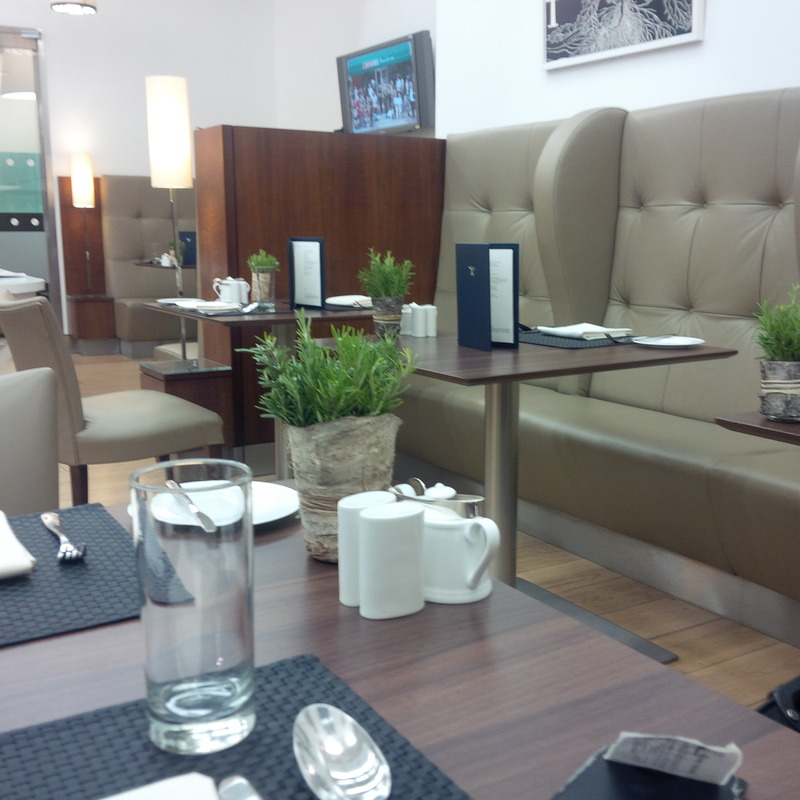 Breakfast in the lounge before or after your flight is the best. So you’ve travelled from New York to London and landed in the early morning, you get your bags and then place yourself in the Infinity Bath, have a spa treatment and then settle into the beautiful Concorde Dining Room for breakfast. 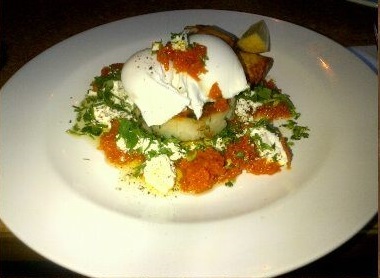 The Eggs Royale below looks simple… but it just absolutely hits the spot. (You can check out the review here). 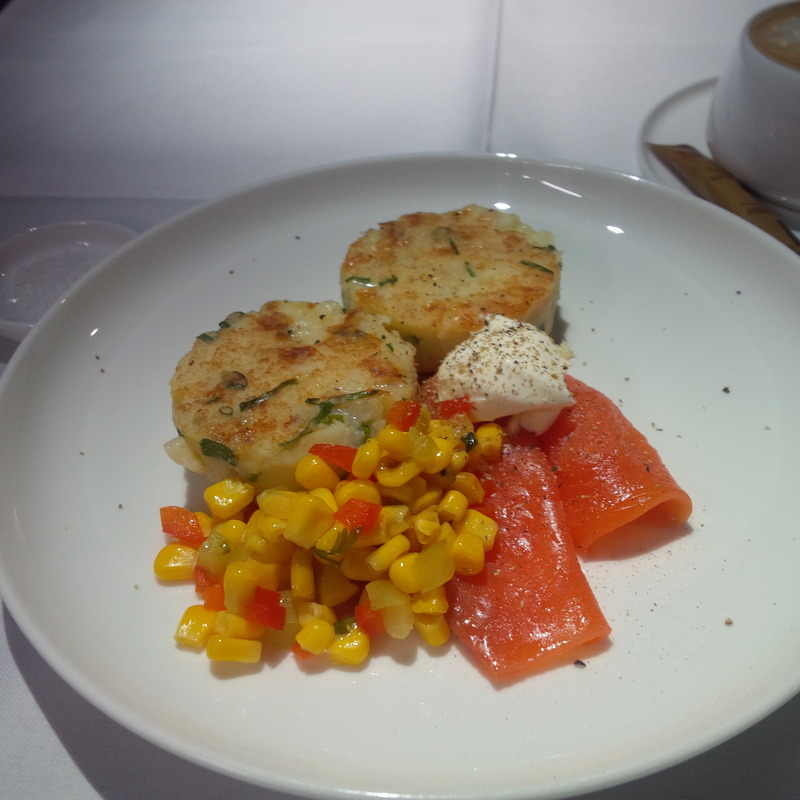 Alternatively, if you travelling out of London Heathrow (T5), you visit the Concorde Lounge and have a more rustic breakfast of poached egg on a fish cake… did I mention there were views of the tarmac? I tried this dish back in October and it was divine. Nestled in Elizabeth Bay Marina… this place is amazing, views of yachts, a perfect spot to people watch, have a warm cup of coffee and work on a pastry (I had the breakfast focaccia – olive, tomato, cheese wrapped in a flaky pastry) and watch the beautiful sun reflect of the blue waters that is the Harbour. 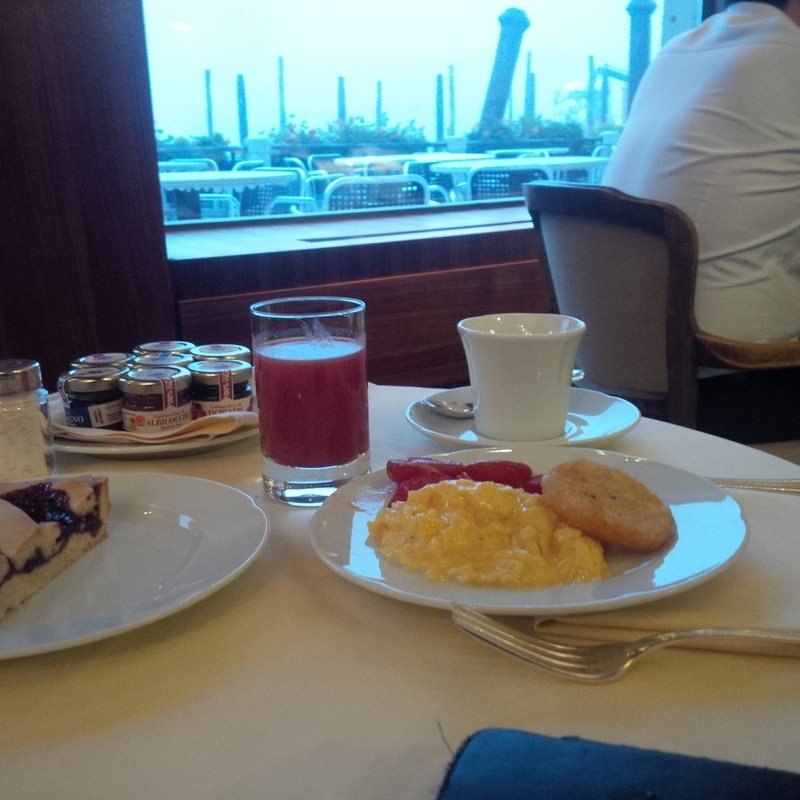 Scrambled Eggs and Fresh Tomato Juice overlooking the Grand Canal in Venice? Sure, just swing by the Hotel Monaco and have a beautiful breakfast overlooking the Canal. 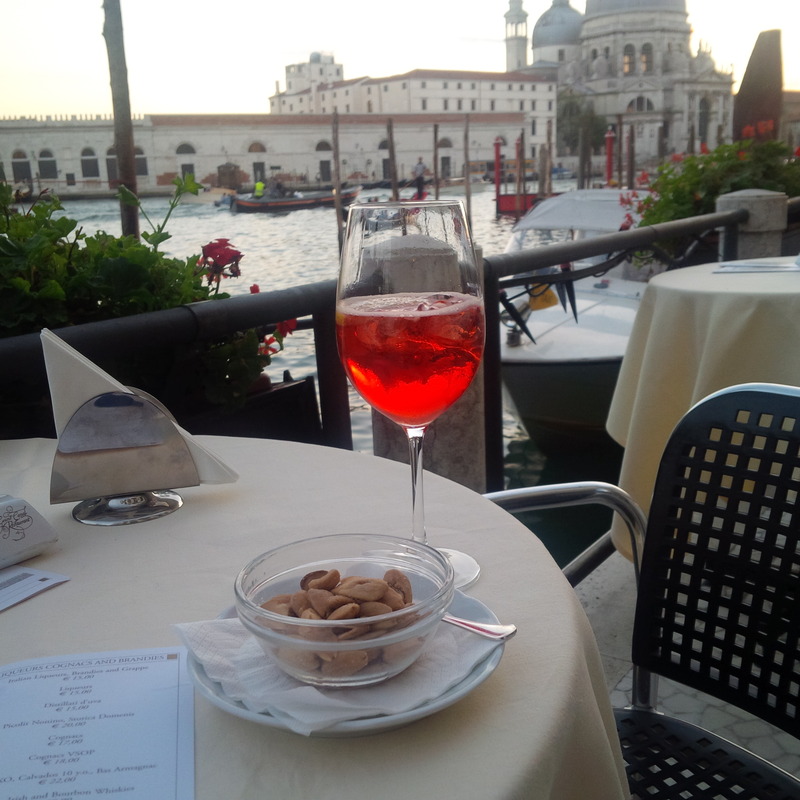 It was raining, so I stayed inside on the morning… but the Spritz I had the afternoon before shows you the view when you’re dining alfresco.